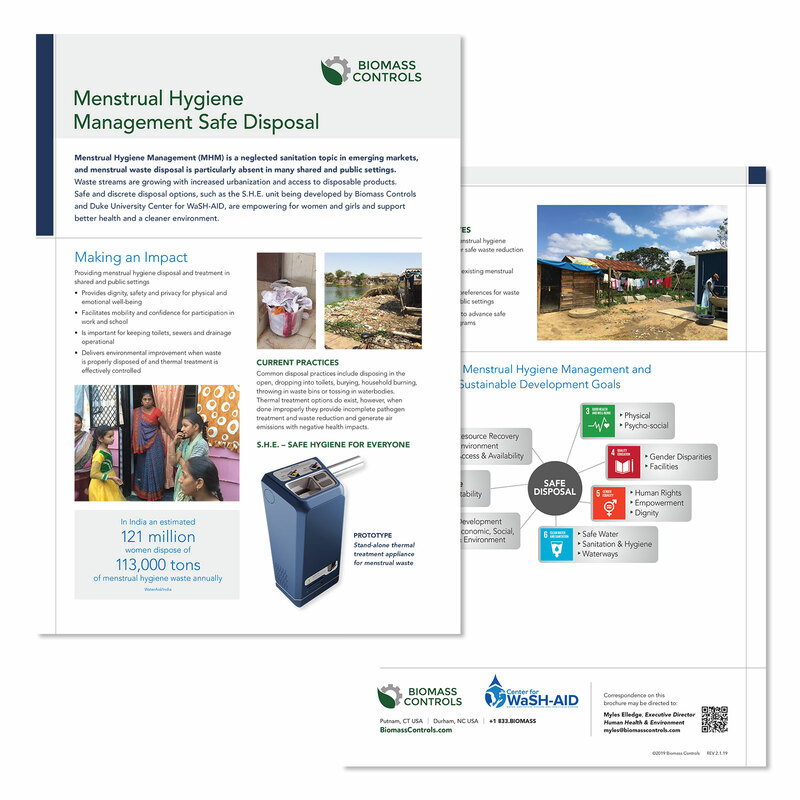 Menstrual Hygiene Management (MHM) is a neglected sanitation topic in emerging markets, and menstrual waste disposal is particularly absent in many shared and public settings. Waste streams are growing with increased urbanization and access to disposable products. Safe and discrete disposal options, such as the S.H.E. unit being developed by Biomass Controls and Duke University Center for WaSH-AID, are empowering for women and girls and support better health and a cleaner environment.